In 2009 I accompanied my brother to Florida where he competed in an invitational international competition of the top radio control airplane flyers and modellers called 'Top Gun'. He competed and placed 5th in the Expert Class, a group where you must both build and fly your own plane. Both aspects are judged in the competiton. There are some magnificent craftsmen and beautiful planes. More can be seen at www.franktiano.com. This piece commemorates that event. 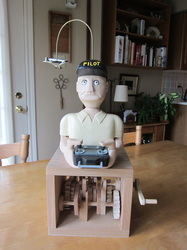 The pilot's eyes move, his head turns, his thumbs move the joysticks, his arms move up and down, all while his model circles his head. 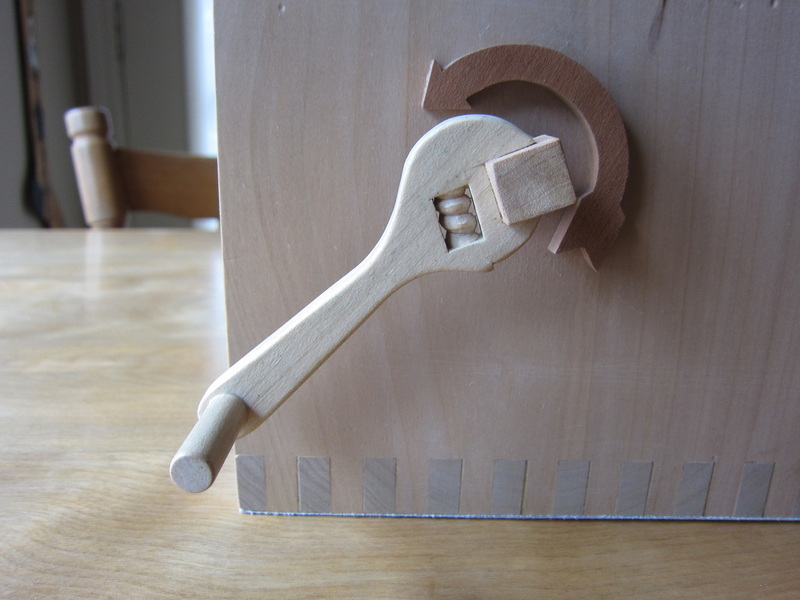 The crank resembles an adjustable wrench. 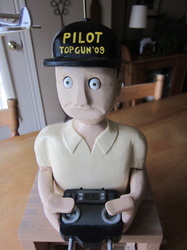 Top Gun Gets a New Drive! Left unsupervised little ones can get a little over enthusiastic or insist in trying to wind the handle in the wrong direction. 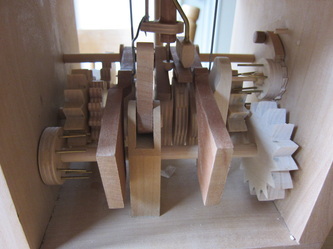 This early piece was such a victim and I had to replace the gear train. As you can see below it is happy and healthy again.